The Foundation Plus course is part of the national scheme for the training and certification of core competence of personnel who work on equipment for use in explosive atmospheres. Such training provides companies with a target for their employees, which is recognised by the self-regulated sector of this industry as a necessary component of their Personnel Competency. Our course not only covers the core CompEx unit qualifications (covering subjects like ATEX, DSEAR and general hazardous locations theory) but adds basic Ex installation practice, installation training and a simple ‘skills’ assessment by installing real Ex equipment and glands with our portable installation rigs and is an ideal primer for people considering taking EX01-06. This course can be delivered at one of our training centres or at your location, providing a recognised qualification with a practical skills assessment. Who should attend the Foundation Plus Course? This course contains some practical skills training and practical assessment and is therefore more suited to anyone involved in Hazardous Area work with very limited installation. Unlike the other CompEx units, no prior knowledge of hazardous areas is required for full participation in this unit. The course is also an ideal ‘primer’ for the Ex 01-04 qualifications which have a full day of practical assessments. We are practitioners in Explosive Atmospheres installation, inspection and certification. 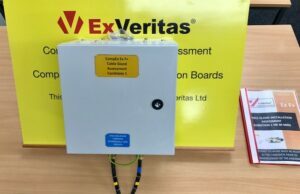 We are an ATEX Notified Body and an IECEx Certification Body. We have well over 200 years experience in this field at our training centre and our four specialist CompEx instructors (we don’t bring in outside contractors to teach our courses, we only use our own staff who are industry experts and active practitioners with over 20 years experience each). In addition to presenting CompEx courses, we are on CompEx best practice working groups and help with the development of CompEx courses. The CompEx Foundation Course is presented by one of our in-house CompEx approved lecturers (we have four qualified lecturers to choose from, each with over 20 years experience!). 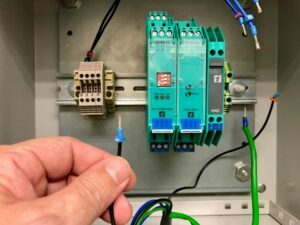 All of our lecturers are working practitioners in the field, we don’t just teach it, we actively work on installation and inspection every day! There is an on-line multiple Choice exam and a 1.5 hour practical installation exam on the provided rigs. The practically assessed exam will assess making of glands, termination and crimping and reading loop drawings (separation/segregation etc). 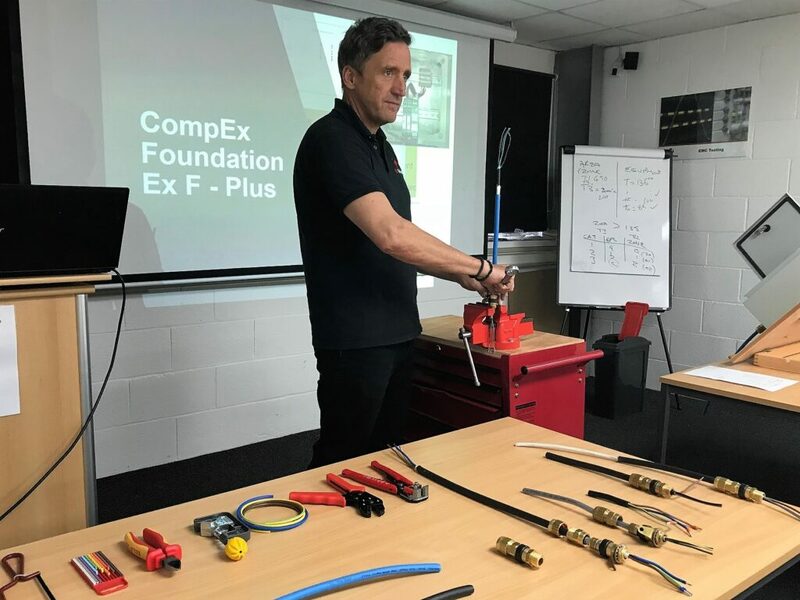 The CompEx Foundation Plus Course is a full 3 day course with lunch and refreshments provided, it costs £560 +VAT and can be booked on credit card or via a company purchase order. Bookings can be taken by completing the on line-form below.